If you’ve read my other blog posts on getting WordPress set up and working on Mint Linux VM, I’m using a clone of the same VM that I use for this site in my experiments. As such, getting Docker install and working on Mint is the first step. Fortunately, this general entails installing some packages. 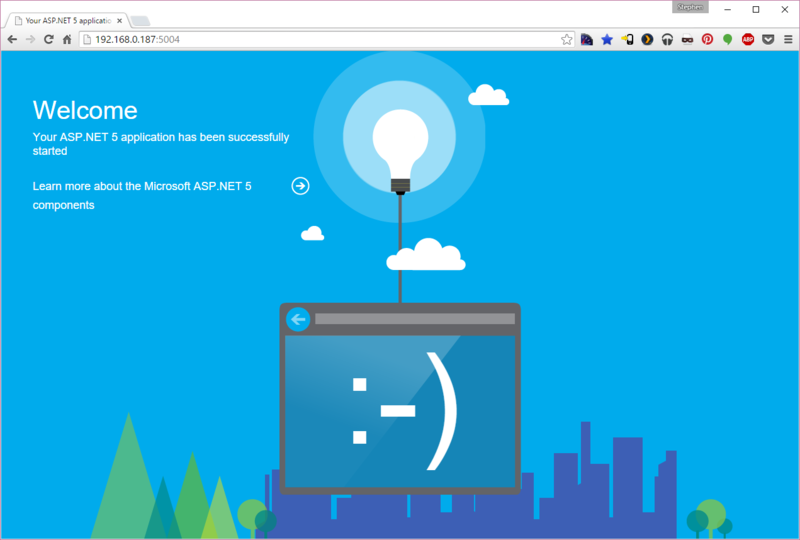 docker build -t aspnet-home-helloweb . Docker will download all of the dependencies that are needed and spin up a web host for the .NET application. As you can see, it’s hosted on port 5004. Browsing to your localhost port 5004 will display the output of the sample ASP.NET “HellowWeb” application. If you have trouble creating the the image in the “latest” folder, you can try one of the other beta folders. The relative ease of getting this up and running is pretty impressive. But it doesn’t stop there. The sample containers are handy, and you can use them straight away to develop you own applications, but setting up the development environment for use outside of Docker, and installing VSCode, Microsoft’s cross-platform IDE, opens up a lot more possibilities. With all of the parts install, we can actually run web/console applications directly on Linux. If you’re familiar with MONO, this isn’t an earth shattering process, but it’s nice that it works with Nuget, seamlessly, and is supported officially by Microsoft. To get to get a basic console applications running, for example, create a folder to hold your source files. I created one in ~/Documents/console-app. Once created, you can select “Open Folder” from the VSCode menu. For simplicity, you can grab the project.json and program.cs from Microsoft’s Samples. 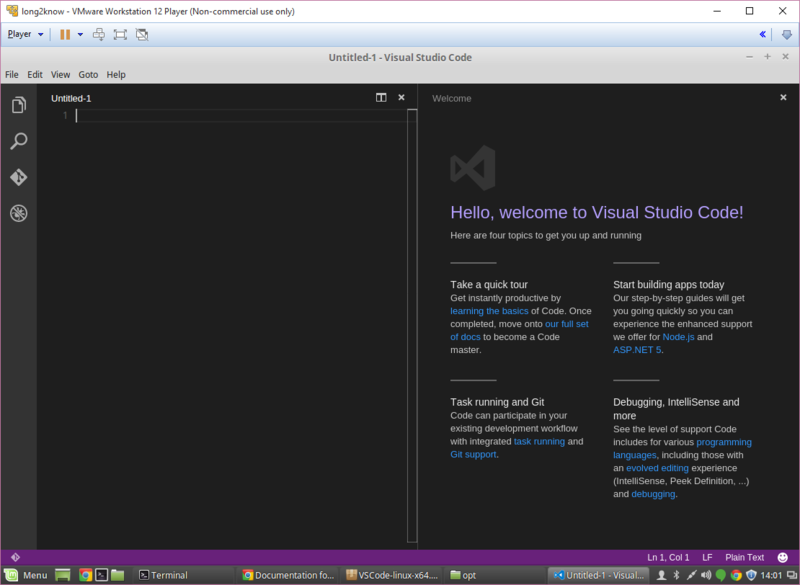 That’s it for my initial cursory setup of .NET 5 Core on Mint Linux. I’m pleased with the setup and the ease of getting things running. Things I’ll look at next time are deploying Docker containers, hosting containers on the same machine already running Apache, and, if it’s possible, to host developed applications on an existing instance of Apache without Docker. I’ll take a closer look at the deployment process with Docker containers.